The retro gaming equivalent of a $28,000 turntable. People who are serious about audio tend to be serious about their audio equipment. Audiophiles can easily spend hundreds or thousands of dollars on precisely tuned and protected record players, cables, amplifiers, receivers, and speakers to make sure the sound of those classic vinyl LPs comes out sounding just right. Diehard retro game fans have fewer serious options for getting an authentic yet high-end experience out of their old cartridges. Original consoles can run into problems with everything from the power supply to the cartridge connector pins as they age, and they don't have modern audio and video outputs for today's home theaters. The "Famiclones" and other copycat hardware out there are usually based on imitation chips that can have serious issues with compatibility and authenticity to the real hardware's output. Emulation-based solutions can offer a wide degree of customization and flexibility, but they also come with their own problems with compatibility and authenticity (unless you go to somewhat extreme lengths). Christopher Taber didn't want to settle for these kinds of compromises in building his own updated version of the classic NES/Famicom. To that end, he's created what appears to be the most ambitious mass market retro console modification the world has yet seen. 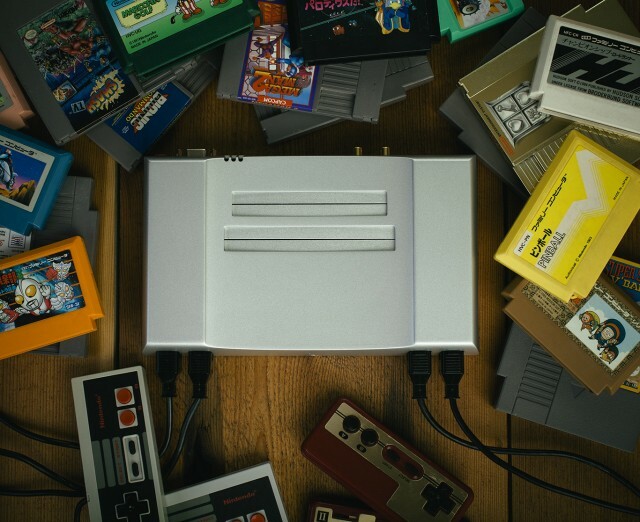 The Analogue Nt, which starts taking pre-orders today, is an aluminum-encased love letter to the original Nintendo hardware, with authentic processors from the original hardware driving modern, high-end output and design features. The system was designed and produced with what Taber tells Ars is the "same philosophy of designing a piece of hi-fi equipment" out of "a desire to explore this massive, beautiful part of video game history properly."